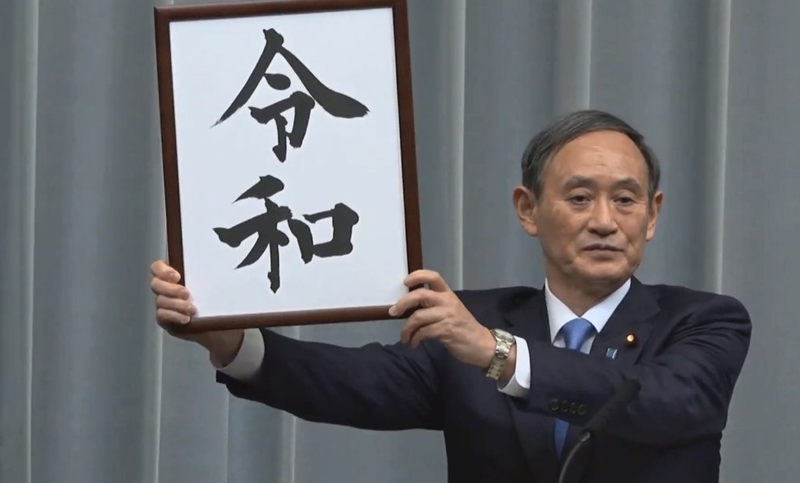 On the 1st, the Japanese government announced the name of the new imperial era: Reiwa (令和). It will replace Heisei, the name of the current imperial era. The current Heisei Period will end on April 30, 2019 (or Heisei 31) when Emperor Akihito abdicates the throne, and the Reiwa Era is expected to start on May 1. Crown Prince Naruhito is expected to be enthroned this October. Japan’s new era name Reiwa comes from the country’s oldest poetry collection, Manyoshu, and the kanji 令和 literally mean “decree” and “peace”. 2nd kanji is also used to signify Japan. The country’s history is divided up into a series of eras. The last era was called Showa, and dates from 1926–1989. Showa (昭和) literally means “shining Japan. The era before Showa was the Taisho Period (1912–1926) and before that was the Meiji Period (1868–1912), which each marking the rule of a different emperor.